 Portland, Ore. — The Oregon Center for Nursing (OCN) Board of Directors has named long-time staff member Jana Bitton as the next executive director. Bitton’s work in nursing began in 2009 when she joined OCN as a Program Manager leading the Nurturing Cultural Competence in Nursing (NCCN) program, an initiative funded by the Robert Wood Johnson Foundation and the Northwest Health Foundation designed to create tools to increase cultural competence among nurses in various settings. As the NCCN program came to a close, Bitton moved in the role of Program Director of the StudentMAX® Clinical Placement Program. This software program is used throughout the nation to facilitate the work of schools and clinical sites in arranging student clinical placements. Bitton led the program through a significant technological overhaul, and helped with the transfer of the program into a for-profit organization. She also served as Development Director at OCN before accepting the role of Interim Executive Director in June 2014. A native of the Portland area, Jana has a Bachelor’s degree in Journalism from California State University, Northridge, and a Master’s of Public Administration from Portland State University. Jana has a background in fundraising, marketing, and nonprofit management. She has worked as a research assistant with the Executive Leadership Institute at Portland State University, a fundraiser for the United Way of Greater Los Angeles, and a marketing coordinator for the City of Palmdale in California.